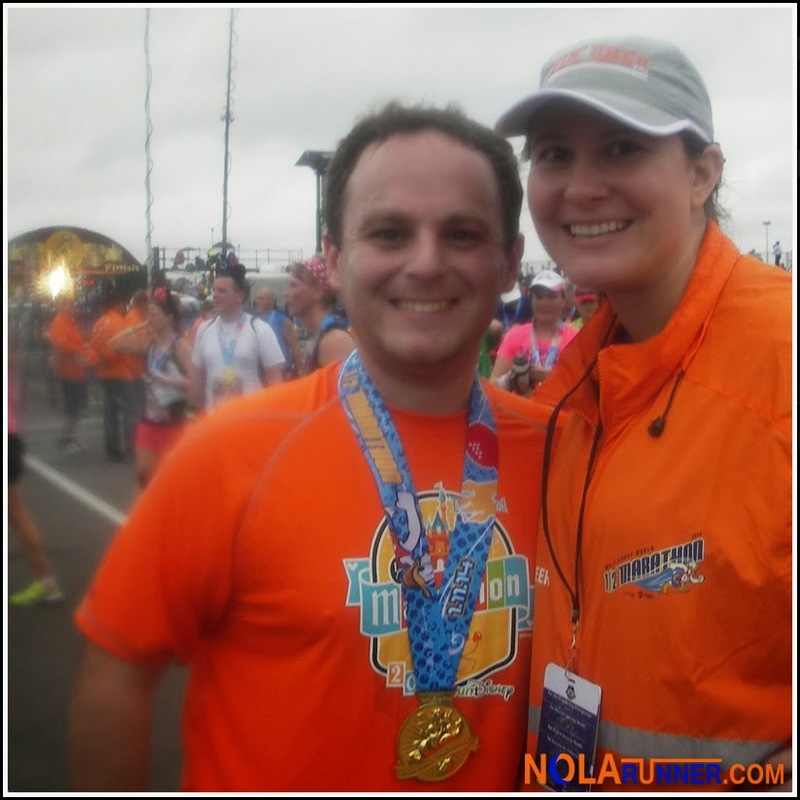 In 2010 I ran my first Walt Disney World Half Marathon along with the Walt Disney World Marathon. 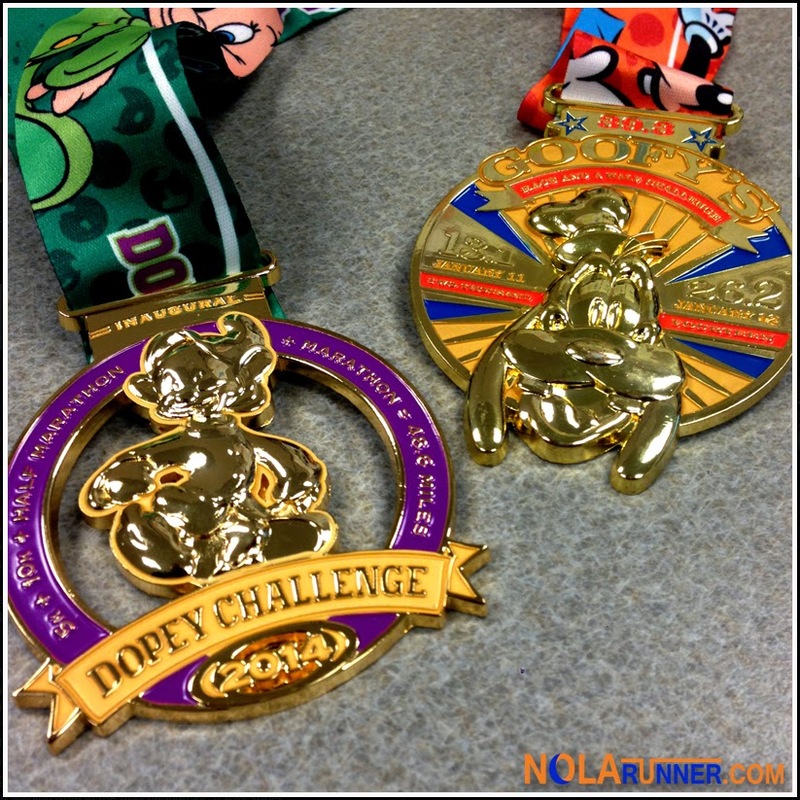 The two races on back-to-back days combined to make the Goofy Challenge. At the time, it was an undertaking that I wanted to conquer as my next step in distance running. 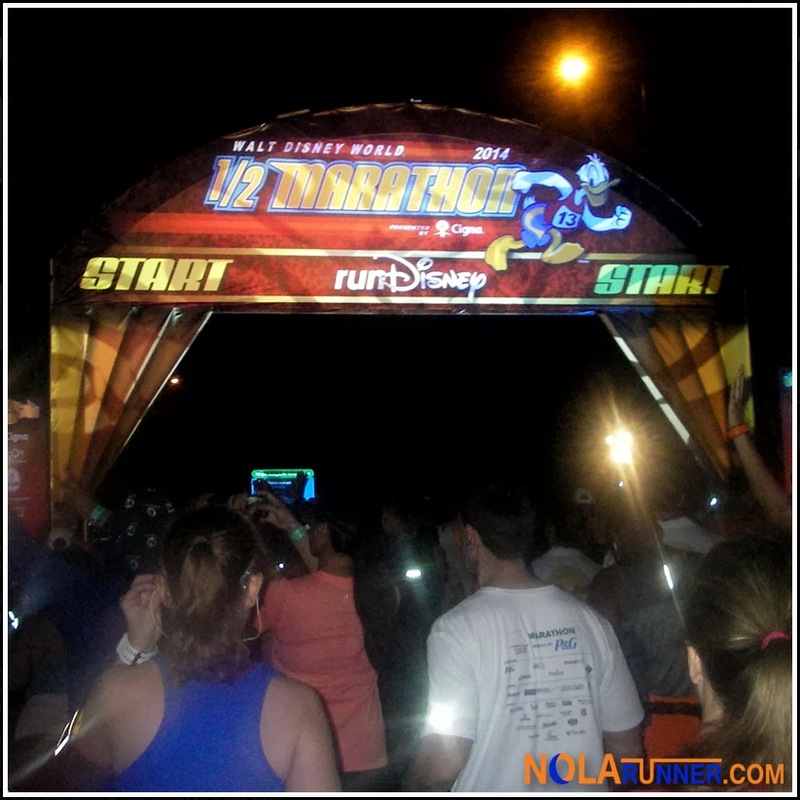 Little did I know that it would lead to a long-standing affinity for all events put on by runDisney, nor did I realize that I would complete 4 more Goofy Challenges in subsequent years. This year, as I attempted to keep the streak alive and complete the 2014 installment of the races, the challenge had been kicked up a notch. The 39.3 miles that the two races covered were part of a much bigger picture. Paired with the 5K and 10K I had conquered over the previous two days, the half marathon and marathon were the hurdles standing between me and the completion of the Inaugural Dopey Challenge. It’s not a runDisney race until Karen has idly threatened me at least once, and this year was no different. She’s notorious for starting the morning by blaming me for talking her in to signing up for an event, followed by a vow to never run with me again. This year, with four races to complete, she had a plenty opportunity to make me fear for my life. The 3am alarm clocks each morning for the half and full marathon actually made me hope she followed through with her promise, as long as she made it quick and painless. Once the initial shock of waking up at that hour wore off, we were able to get ourselves together quickly and board a bus to our races. Unfortunately, because of our hotel’s proximity to the start line, numerous streets were blocked off and we had to take the long way around to get to the drop off point. Traffic was manic for much of the morning, but that’s when you’re grateful that runDisney took care of the transportation for you. It really is worth the price of admission. 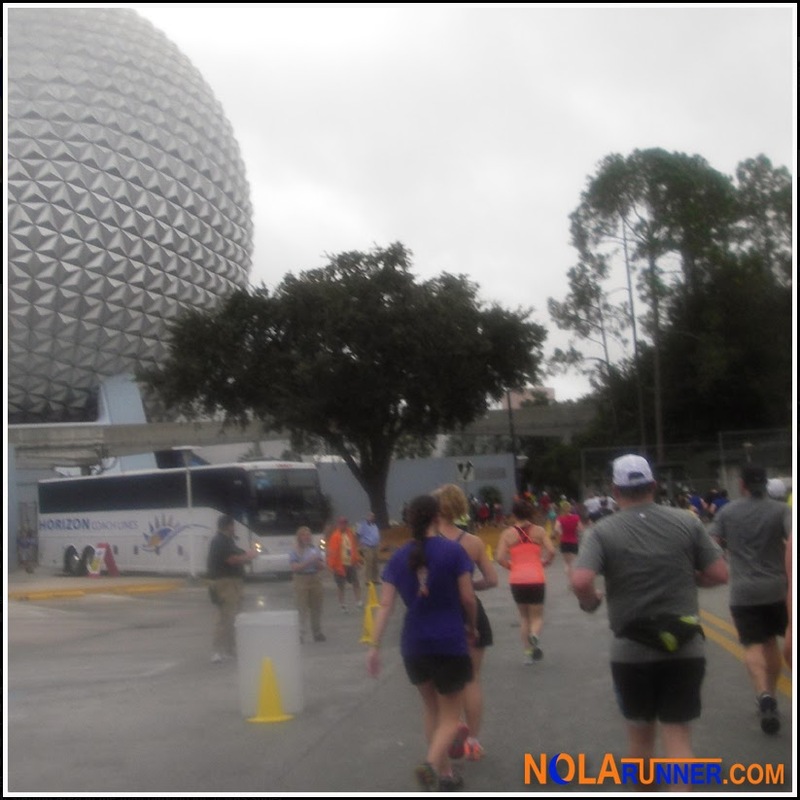 The Donald Duck Half Marathon follows a simple course that starts on the interstate behind Epcot, heads straight to the Magic Kingdom and Cinderella’s Castle, and returns to Epcot for a brief moment before finishing in the circular shadow of Spaceship Earth. The course is quick and easy to navigate. Having run the route five times, I feel like I could do it with my eyes closed. I now know where all of the characters will be, where to smile for photographers, and where the aid stations are set up before they come in to my sights. I decided not to stop for photos during the race because I was still of the mindset that the less time I spent on my feet running, the better my chances of finishing all of the races would be. One nice highlight of this year’s half marathon was that Abby had decided to forgo participation in its traditional sense, and instead volunteered at the finish line to guide runners to their next destination. I really was hoping she would be able to present me with my medal, but those were already in very capable hands. Instead, Abby was just past those volunteers, donning her bright orange jacket, giving the two fingered / open handed point toward medical tents and the photography area. You really can take the cast member out of Disney, but can’t take the Disney out of the cast member. For the full marathon, Karen and I decided to split up as soon as we reached the starting corrals. The first 7 miles of the route is the same as the previous day’s race. 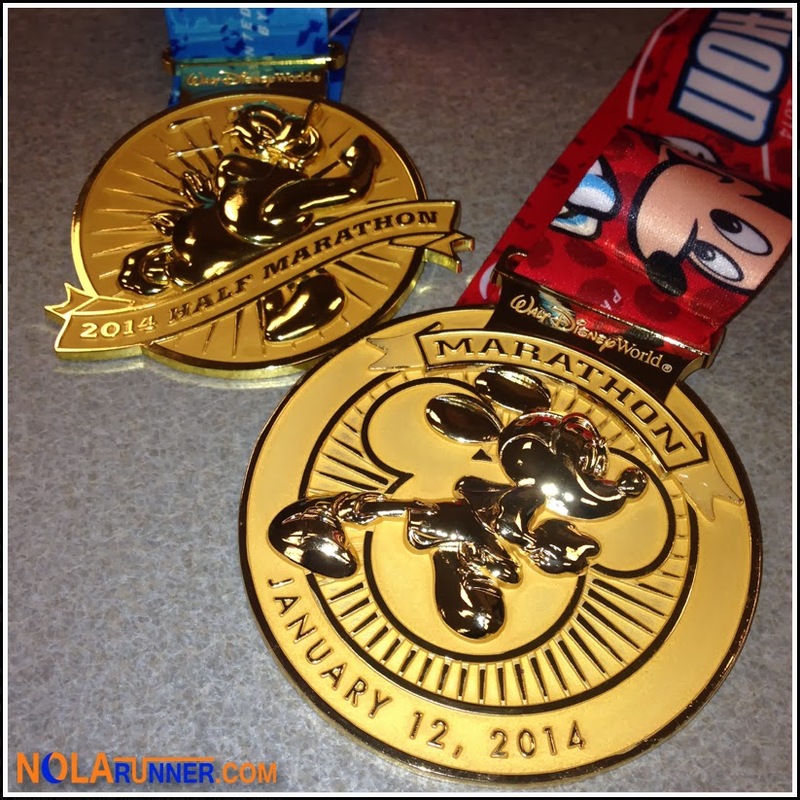 When that course changes is when runners leave the Magic Kingdom and the nearby resort area. Athletes are directed to start their engines and loop the NASCAR motor speedway before heading off to Animal Kingdom. This park is followed by a long stretch of interstate and the grounds of ESPN’s Wide World of Sports Complex. Once you exit Champion Stadium and the sporting venue, runners have about 6 miles left to complete. This distance includes Hollywood Studios, where once again Abby was waiting and cheering on runners as I passed through. I stopped briefly for a photo opp (she was the only character photo I took all day), before continuing on in my quest to the finish. The Boardwalk area of the race is amazing, and this is where runners really start to rely on crowd support as they complete their final miles. Entering the back of Epcot is euphoric at mile 25, and running around the World Showcase as Disney characters cheer you on makes it seem like a scene out of a Saturday morning cartoon. There’s nothing like crossing a runDisney finish line, having Mickey Mouse standing there giving you a high five or hug as you complete your race. After 26.2 miles in one day and 48.6 miles over four, the relief really hits all at once. A participant can’t help but to beam with pride after completing such a feat, even if it is only a bunch of strangers looking on. I can’t even remember what was going through my head as a volunteer placed the marathon medal around my neck, much less when I was presented with my Goofy and Dopey challenge medals. The names of these challenges don’t really describe the decision to run the ridiculous distance, but instead describe what my facial expressions looked like at the end of it all. My non-running friends often ask if I get tired of running the same races year after year. In some cases, there is fatigue that creeps in to the routine. However, runDisney events seem to be immune to that phenomenon. The familiarity I have with the courses and the overall execution of the events is comfortable. Going back to the Happiest Place on Earth each year feels like the races fit like a glove … a big, white, four fingered glove. Love, love, love your enthusiasm for runDisney races.